The labyrinth is an ancient symbol that has been a source of wonder, wisdom, healing, and enlightenment. 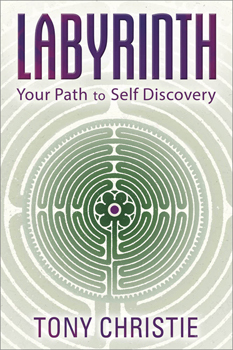 In this book, spiritual teacher Tony Christie shares powerful techniques for exploring the healing energy and wisdom of the labyrinth. Discover how to work with labyrinths to quiet your mind and cultivate a sense of balance. Gain insight and answers for the issues that matter most to you. Use the labyrinth as a safe container for letting go of the worries and troubles that weigh down the mind. With the right guidance and intention, every step you take in a labyrinth can bring you greater understanding of your life's purpose and your place in the world.